ENGEO received the California Geotechnical Engineering Association (CalGeo) 2010 Outstanding Project Award for their work on the Pacific Cannery Lofts project in Oakland, California. 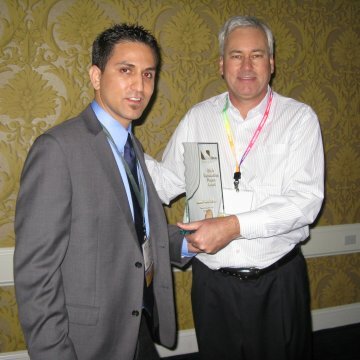 The award was presented to ENGEO on April 16, 2011, at the CalGeo 2011 Annual Conference held at The Claremont Hotel in Berkeley. The project was judged and selected based on the evaluation of five criteria: (1) Innovation; (2) Difficulty of Investigation; (3) Quality of Geotechnical Report; (4) Design Team Interaction; and (5) Social Impact. Pacific Cannery Lofts is a transit-oriented urban reuse development in Oakland, California. This 2.7-acre urban infill Brownfield site was redeveloped to offer 163 live/work lofts, including converted warehouse lofts and new townhouse lofts within walking distance to the West Oakland Bay Area Rapid Transit (BART) station, ½-mile from downtown Oakland, immediately adjacent to major freeways, and minutes from the San Francisco – Oakland Bay Bridge. The site was formerly home to an industrial cannery within the Central Station neighborhood, two blocks from the former home of the historic 16th Street Station, Oakland’s first Southern Pacific rail station, which was once the terminus of the Transcontinental Railroad. The project includes the seismic retrofit and reuse of the historic 1919 Pacific Coast Cannery warehouse building. Micropile foundations were used to support new shear walls as part of the seismic retrofit. A ground improvement system was used to provide increased bearing capacity and settlement control for new buildings supported on shallow foundations constructed in areas previously within a historic marsh. This ground improvement system introduced significant cost-savings to the owner relative to a more traditional pile foundation system. The successful completion of the project would not have been possible without the collaboration and partnership with Holliday Development (owner), Cannon Constructors (general contractor), DBM Contractors, Inc. (design-build micropile contractor), Farrell Design-Build Companies, Inc. (ground improvement contractor), and Tipping-Mar + Associates (structural engineer). Pacific Cannery Lofts serves as a model for historic preservation, sustainability, and transit-oriented developments with influence that extends far beyond the Central Station neighborhood. Pacific Cannery Lofts has been certified GreenPoint Rated by Build It Green, whose mission is to promote healthy, energy- and resource-efficient buildings in California. Pacific Cannery Lofts is also the winner of the 2010 Golden Nugget “Award of Merit – Best Adaptive Re-use Project,” the 2010 Honor Award from the American Society of Landscape Architects, and was rated as one of 2010’s Best Residential Landscapes by GardenDesign.com.